A large stator mid-kV motor sent over by Hawksky for testing. 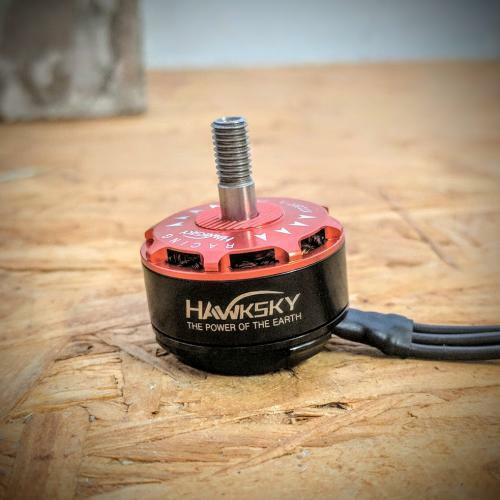 Hawksy has been making a push into the mini-quad world lately, where they seem to be the source of a number of recent OEMs that have come across the bench. The build quality is excellent with some of the best machining and tightest tolerances I've seen in a while. This particular specimen is a bit heavier than some of their other OEM work, weighing in at just over 35g, which is a bit on the heavy side for a 2207. The windings are multistrand rather than the single strand lower guage wire that has been popular on modern motors. The motor uses arc magnets with respectable air gap, though some of their other OEM work as significantly tighter gaps. Overall very respectable work from Hawksky, with the build quality and machining standing out above the rest. Following back-to-back with the SkyGear motor, which is also an OEM from the same factory, gives and interesting comparison. This motor tested a tad lower kV than the SkyGear and showed a slight loss in RPM output as a result, falling just behind it's sibling. Other than the small difference in KV the performance was very close, which is a good sign for build consistancy even across varying CNC and assembly batches. 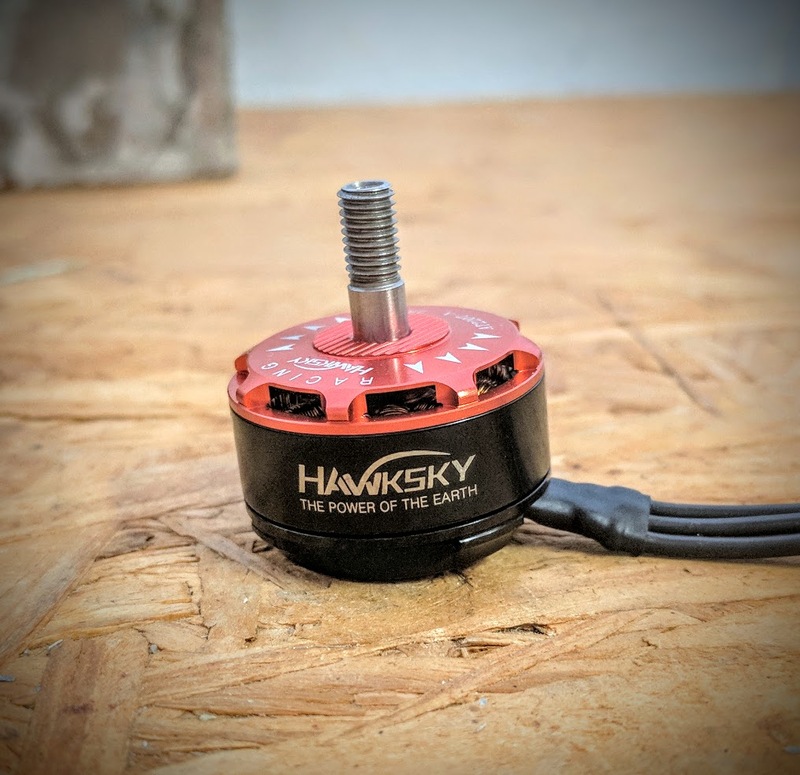 I will be very curious to see what other designs come out of the Hawksky factory. 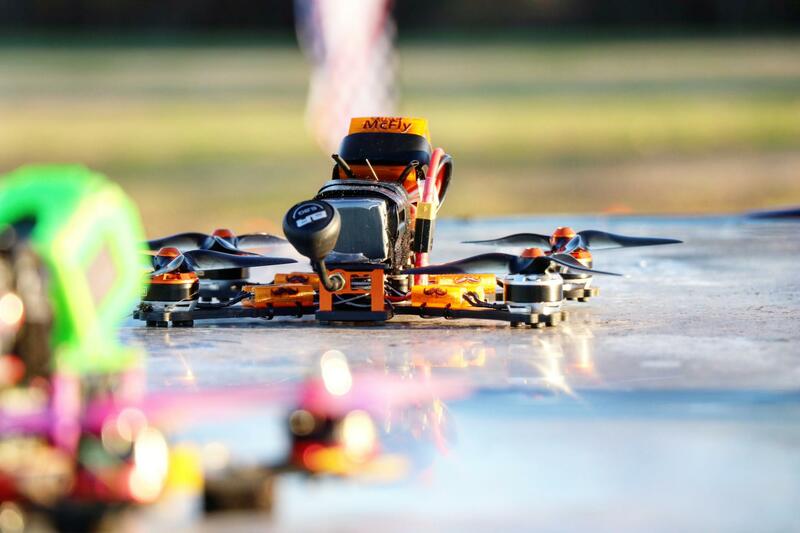 In the meantime, these are very solid motors, with a good blend of power and efficiency though at a heavier weight point, making them more suitable for heavier props on a freestyle rig.